The Syapse software engineering team is solving one of the most daunting challenges facing mankind, the battle against cancer. 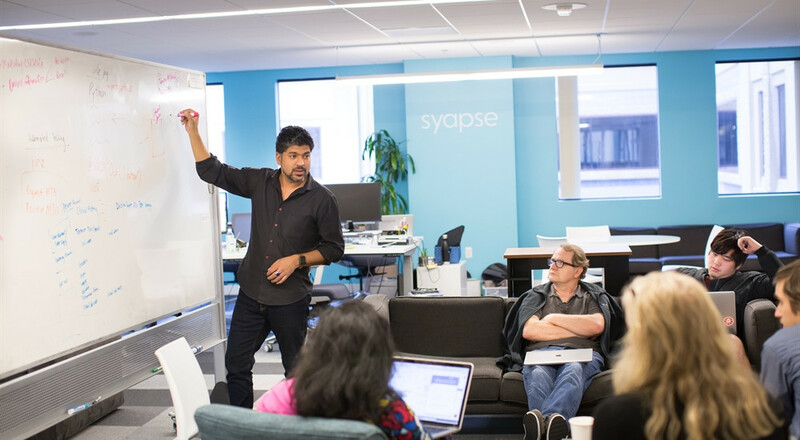 With modern data platforms, scalable microservice architecture and best in class data & analytics applications the Syapse engineering team solves some of the hardest challenges at the intersection of technology & cancer care. Small, agile teams own product areas end to end. Our scrum teams design and deliver their components independently, using short, iterative sprints and domain-based communities of practice deal with cross cutting concerns and foster collaboration across teams. A 2018 Fast Company Most Innovative company, we’re revolutionizing cancer care and working at the frontier technology’s application in the fight against cancer. You’ll lead development teams engaged in one of the most meaningful and impactful applications of complex analytics tools and services ever as we enable the data driven fight against cancer. You’ll lead our application development from the API layer up and have significant impact on our customers’ user experience. You will be a dedicated leader of engineers blending deep technical skills, unrelenting positive energy and a willingness to ‘get your hands dirty’ in code and architecture. Your demonstrated track record of building winning teams, data-driven products, and culture sets you apart from your peers. Knowledge of the healthcare domain is not required, but a strong desire to make a meaningful impact on your fellow humans is essential. Lead: Organize, mentor, and grow a high caliber team of engineers and managers. Set ambitious goals and expectations, and support the team in meeting them. Deliver: Produce regular, high-quality releases. Ensure status is measurable and transparent, and communicated clearly to senior leadership. Collaborate: Work closely with the other engineering groups to create a seamless product, with product management on vision and requirements; with the CTO office on technology strategy and architecture; with professional services to ensure predictable and repeatable configuration and deployment; with sales and customer operations to optimize the product fit with customer engagement strategy; and with the leadership team to develop product and business strategy. This position will have significant influence to our cloud, QA, and QA engineering teams. Recruit: Attract and retain top tier engineering talent in a competitive market. Build: Continuously invest in the development of the engineers on the team according to your expectations and their career goals. Mentor your managers. Grow: Foster a culture of continuous improvement, on topics ranging from software development process and quality assurance to product performance, scalability and robustness. Innovate: Guide the team through a variety of upcoming product initiatives. A minimum of 8 years of engineering leadership at the application level. A broad engineering background with experience in application level development. Experience leading teams through several complete product cycles. Demonstrated success building and shipping multiple complex high volume products in parallel in a large scale enterprise SaaS environment. Proven experience recruiting and building a team, as well as developing both engineers and managers. Fresh technical chops. You won’t spend every day coding, but you should be able to dive into the code and architecture and advise as an expert. Outstanding communication skills, both written and oral. Ability to present effectively to a variety of audiences. Ability to write concisely and clearly. Experience with and opinion on the best frontend technologies. Maybe you’ve supported a friend or family member who’s dealing with cancer. Maybe you’ve battled it yourself. At Syapse, our mission is to enable healthcare providers to deliver the best care to every cancer patient through precision medicine. Our personal connections to this mission unite our team. For the team at Syapse, every day is a chance to make a difference in the lives of cancer patients. We integrate genomics and clinical data on a single platform and allow doctors to share important treatment and outcomes information across a global network. Your work will directly impact cancer treatment at major health systems and life sciences companies around the world. Here is what some of our team members are saying about building cancer fighting software at Syapse. Click here to meet team members, see lots of photos, and learn more about the work of the Syapse Engineering and Product team. Genuinely meaningful work. What you do impacts cancer care directly. FlexPTO: Take the time-off you need, when you need it. 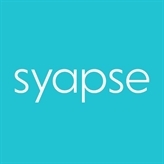 Want to get notified about new jobs at Syapse?